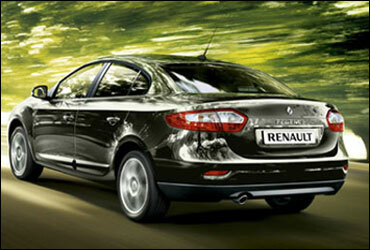 I'm probably in the minority here, but I really liked the Mahindra Renault Logan. Granted, it looked dated the moment it hit the road, but it was reliable, spacious, well-built and frugal. Given these qualities, it was unsurprising that it became a hit with fleet taxi operators, and by doing so it gave itself an image problem -- not too many customers wanted to be associated with a car that they perceived to be a taxi. Given this background, it's only natural that Renault, now on its own, wants to do everything in its power to erase the memory of the Logan from the buying public's minds, and it is confident that the new D-segment Fluence is just the car for the purpose. 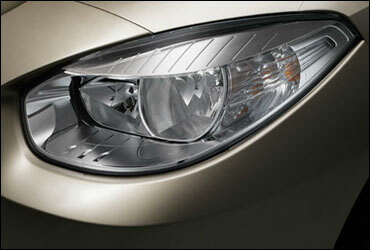 This is a distinctive-looking car, and it doesn't try too hard to stand out, which is always a good thing. It doesn't look Japanese and it doesn't look German; its French flair sits it nicely in the middle of the segment. The Fluence, with its long snout, muscular bonnet creases and coupe-like profile, manages to strike a balance between playing it safe and having some character -- I believe its looks will go down well with most people. Fluence in India will be available in both petrol and diesel options, priced between Rs 12.99 lakh (Rs 1.29 million) and Rs 14.40 lakh or Rs 1.4 million (ex showroom Delhi). 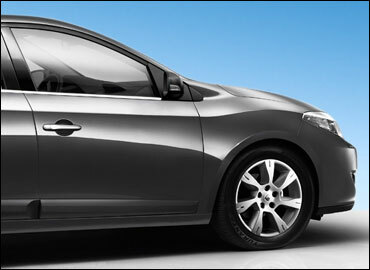 The silver door handles, the cladding between the front and rear wheel arches, the elegant 16-inch alloys and the large 'Fluence' badge on the boot are all little touches that give it some personality. Notch one up for the exterior design, then. Step inside and you'll find an airy, spacious cabin, with generous amounts of leg and elbow room. People closer to 6 ft in height might find their heads touching the roof, but for most, the headroom too is fine. 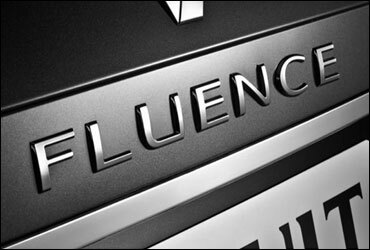 "The Renault Fluence was designed for the Asian market and hence we are confident that it will not only shake up the segment, but also give the Indian customer their first taste of what Renault is capable of bringing to the Indian market," Renault India managing sirector Marc Nassif told reporters in New Delhi. The seats are comfortable and supportive, with the only drawback being that the wheel-type backrest adjusters are hard to operate -- and also that in this price bracket, perhaps powered seats should be included. 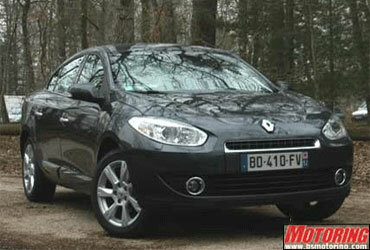 Renault has also kitted and specced out the diesel and petrol versions differently -- probably a little too differently. The diesel gets dark grey fabric upholstery, no automatic (and dual zone) climate control, no USB/AUX, no parking sensors, no cruise control or speed limiter, no Bluetooth, no leather-wrapped steering wheel, no blower vents for the back seats, no netting screens for the rear windows and windshield and less speakers than the petrol model. 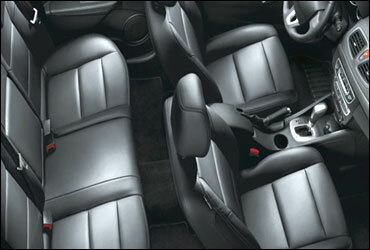 The petrol gets beige leather seats and, well, all the things the diesel doesn't have. 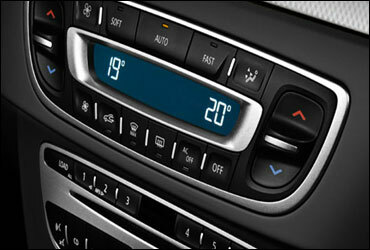 A few quirks make themselves felt in the cabin, most of which have to do with left-hand drive issues. The lever for the bonnet, for example, is to the left of the front passenger seat; the handbrake lever and Start/Stop button are also clearly positioned for a left-hand drive car. The steering-mounted volume-control unit is decidedly oddly placed behind the steering wheel, rather than on the wheel itself. 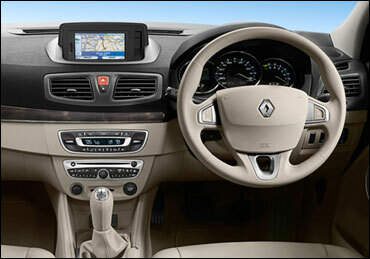 Image: Interior view of Fluence. To be fair, the unit isn't as hard to use as it first looks, and the buttons have a very solid feel to them, but the point is that it's not immediately intuitive; you shouldn't have to get "used" to basic things like this. 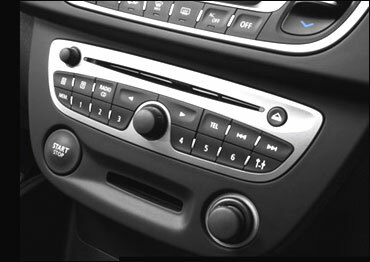 On the petrol model, while the buttons for modulating cruise control are on the steering wheel, the switch to turn the cruise control or speed limiter on is placed awkwardly, next to the hand brake lever; it's easy to miss at first. The stereo control buttons are a little small, and the system itself isn't too intuitive either; it takes a while to get into its innards and figure out the functions. Lest you think that I'm painting a depressing picture, let me also tell you that the instrumentation is top-notch -- the large, central digital speedo looks great (almost like a technical drawing by da Vinci) and is easy to read, and you have access to a number of on-board diagnostics. 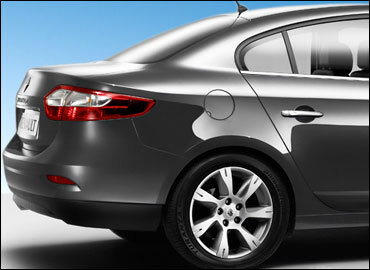 Image: Rear view of Fluence. The AC cools very well and very quickly, the boot is cavernous and has useful hooks to secure luggage, the key card is sleek and allows passive entry within a 1 metre radius (it also auto-locks once you exit the radius), there's very little wind noise and perfectly acceptable road noise and, as I said earlier, the ride quality is arguably the best in its class. Renault has managed to sort out the decompression settings in the shock absorbers to a nicety; where most manufacturers get the compression settings right, decompression can often be an issue. On the go, the model with the 1.5 litre diesel engine (the same as on the Logan), with 104 bhp and 24.4 kgm, is the more involving of the two to drive. Mated to a six-speed manual gearbox, the engine has a relaxed state of tune, rather than an energetic one. There is a fair amount of turbo lag, especially if you're doing a standing start; the trick is to shift early and keep the engine in the torque band, failing which you'll find yourself slipping the clutch. The gearbox has a nice, firm action as well, and the pedals are quite light to use. As a highway car, the diesel model fits the bill well; we didn't drive in city conditions on this occasion, but my feeling is that it'll be quite easy to use. 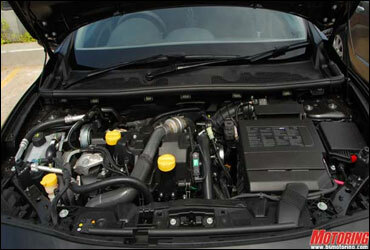 The 2 litre, 135 bhp, 19 kgm petrol engine, paired with a six-speed CVT, is a different story. It's very smooth and refined, but the CVT robs the engine of a fair amount of shove, and the rubber band effect on it is quite pronounced as well. It'll make a great city car, no doubt, because it's very easy to drive, but there's not much enjoyment to be had from it. 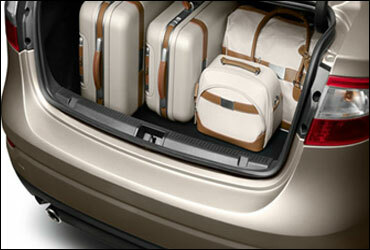 It's very much a car to be enjoyed from the back seat. 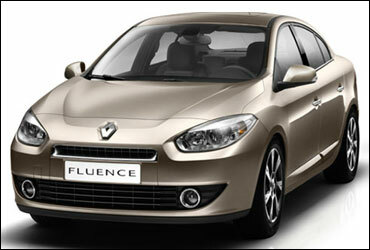 The Fluence handles in a manner in keeping with its character -- it is neutral and safe without being exciting. Body roll is well controlled, the steering wheel is accurate and well weighted, high-speed stability is commendable and, if you ever run into a bit of trouble, there's a range of standard safety features to help protect you -- four airbags, ABS with EBD, ESP and traction control come as standard, which is a very good move. Renault has big plans for India, and in the next 18 months, it plans to have 100 dealerships and five models in its lineup, which is very ambitious indeed. Firing its first salvo in the form of the Fluence, which is a car that is different enough for you to notice it, seems to be a step in the right direction; what remains to be seen is how it will take away mindspace from the average D-segment customer, who has the Honda Civic, Toyota Corolla and Chevrolet Cruze in their sights. As a first impression, I'd say that it is off to a good start. Image: Interior view of Flunce. It's raining millionaires in Shanghai!